An International Monetary Fund (IMF) team led by Samir Jahjah visited Bangui during May 17–27, 2016, to conduct discussions on the 2016 Article IV consultation. The mission also reached staff-level agreement with the authorities, subject to approval by IMF Management and the Executive Board, on an economic program that could be supported by a three-year Extended Credit Facility (ECF) arrangement. Proposed access under the arrangement could total SDR83.55 million (about CFAF 68 billion), or 75 percent of the country’s quota in the IMF. 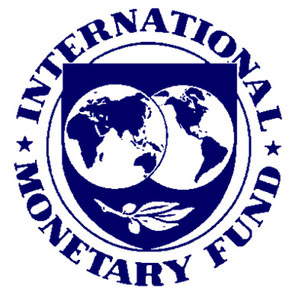 Consideration by the IMF Executive Board is tentatively scheduled for July 2016. “The IMF staff team and the Central African Republic authorities held discussions on a long delayed Article IV consultation. The discussions focused on economic policies and structural reforms needed to bring back the economy on the path of sustainable and inclusive growth, improve competitiveness, and foster good governance, following years of a protracted political and humanitarian crisis that started in 2012. “The transition government in place during 2014–15 implemented an emergency program aimed at restoring security, basic government functions, and fiscal discipline, as well as rebuilding administrative capacity. “In 2015, the economy recovered and fiscal targets were met. Real GDP growth is estimated at 4.8 percent, reflecting a pickup in agricultural output, construction, trade, and services. Inflation averaged 4.5 percent due to lower import prices and improved security on the Douala-Bangui transport corridor. Good implementation of the tax and customs administration reforms and lower-than-budgeted expenditures resulted in an improvement in the primary fiscal deficit to 3 percent of GDP in 2015, from 5.1 percent in 2014. “Despite commendable efforts under difficult circumstances, security remains fragile, the economic recovery slow, and domestic revenue largely insufficient to cover wages, pensions, and other priority spending. The economy remains saddled with deep-rooted structural rigidities that hinder a sustainable recovery. “Looking forward, the challenges are significant and expectations high. The newly elected government will have to walk a fine line between restoring sustainable budget discipline and scaling up social spending and public investment. The medium-term economic outlook is favorable assuming continued improvement in security and the successful reintegration of ex-combatants into the society. Economic growth is projected at 5.2 percent in 2016 and at an annual average of 5.7 percent over 2016–21, reflecting the gradual removal of structural rigidities and the reconstruction of infrastructure. Inflation is projected to subside in line with the CEMAC convergence rate of 3 percent. A gradual reduction in the domestic fiscal deficit and gradual repayments of domestic arrears will contribute to a significant reduction in public debt to about 25 percent of GDP in 2021, from 48.5 percent of GDP in 2015. However, the external current account deficit is expected to remain somewhat high at an average of about 9 percent of GDP over the medium term, reflecting large reconstruction needs. “The IMF mission reached staff-level agreement with the authorities on broad economic and financial policies that could be supported by a three-year arrangement under the ECF. With revenue at historically low levels, commitments under the program would place significant emphasis on tax and customs administration reforms and tax policy measures to mobilize additional domestic resources, reduce aid dependence over the medium term, and scale up priority spending. “Other key elements of the reforms include policies to improve public financial management, including treasury management, to restore control and transparency in the execution of the budget. In addition, better control of the wage bill would allow new hiring in the health and education sectors. The authorities’ structural reform agenda comprises also measures to increase banking intermediation, improve the business environment, address corruption, and build capacity. The mission met with President Touadera, Prime Minister Sarandji, Minister of Finance Dondra, Minister of Economy, Plan and Cooperation Moloua, Minister of Defense Yakete and several ministers in charge of economic sectors, the National President of BEAC Chaibou, the President of the National Assembly and other senior officials, representatives of the financial sector, private sector, civil society, NGO and development partners. The mission team wishes to thank the authorities for their warm hospitality, excellent collaboration, and the high quality discussions.